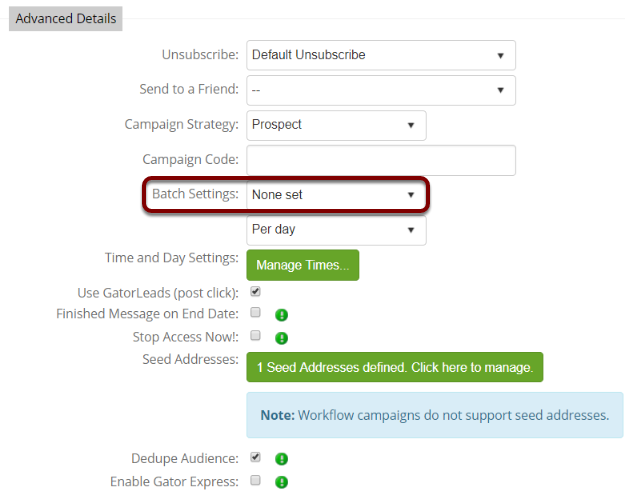 As an alternative to sending a campaign to all recipients at the same time, you can use Batch Settings to set the campaign to send in over a number of hours or days. This enables you to review times and days which see a better response level, as well as helping you to keep enquiries and responses manageable when sending to very large audiences. Batch Settings can be found in the Detail tab of the Campaign Setup screen. They are hidden by default in the Advanced Options section, so select "Show Advanced Options" to display the settings. 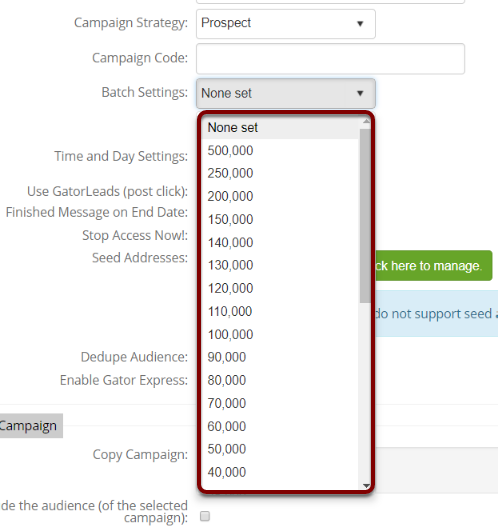 The first field allows you to set a batch volume from a predefined list. The minimum batch size is 5 emails. The maximum is 500,000. 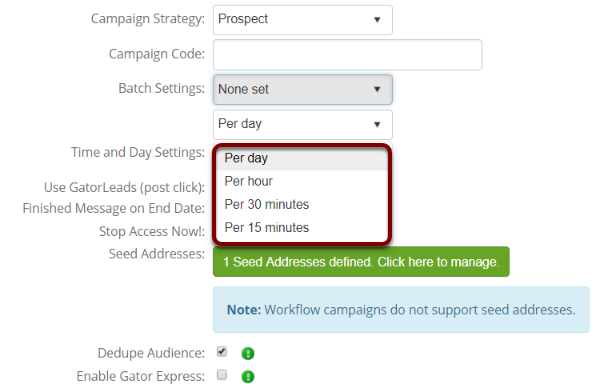 The second field allows you to set the batch frequency to either "Per day" or "Per hour"
Prev: How to create a campaign that sends out on a contacts birthday.